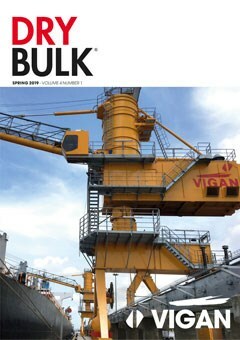 The Spring issue of Dry Bulk includes a Regional Report on the Asia Pacific dry bulk market, a Commodity Review on grains and technical features covering Shiploading, Unloading & Spreaders; Bulker Maintenance & Coatings; Cranes, Grabs & Port Equipment and more. The Winter issue of Dry Bulk includes a Commodity Review on the significant changes affecting global coal production, as well as technical features on Enclosed Storage; Bagging & Packing; Dust Control, Bucket Elevators and more. 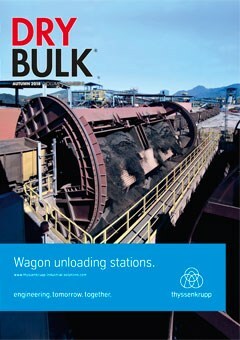 The Autumn issue of Dry Bulk includes a Regional Report on the Americas as well as technical features on Conveyor Engineering; Cranes, Grabs & Shiploading; Dust Control; Rail, Barge & Inland Transport; Storage Domes; Silos, Bins, Hoppers & Bunkers; and Vessel Engines & Emissions. 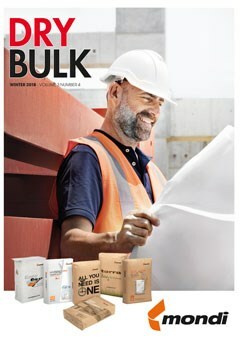 The Summer issue of Dry Bulk includes a Regional Report on whether the recent European dry bulk imports surge is influential or not as well as technical features on Storage, Stockyards, Stackers & Reclaimers, Shiploading & Unloading, Bulk Carriers & Shipping Services, Floating Terminals, Bagging & Packing and Bucket Elevators.